The pseudonym used by David Astle for crosswords in Australia's The Age and Sydney Morning Herald. The pseudonym used by David Crossland for crosswords in The Independent. The pseudonym of John Halpern for Toughie crosswords in The Daily Telegraph. Daedalus is a crossword setter in The Independent whose debut puzzle appeared in January 2015. Albert Edward Danher was born in Liverpool on April 24 1926. He died in 2002. He was a cousin of Paul McCartney. In 1974 he launched himself as a professional compiler by sending two puzzles to The Guardian, and he became a regular setter of cryptic crosswords in each of the four existing national broadsheets, The Daily Telegraph, Financial Times, The Guardian and The Times. Danher became the first crossword editor of The Independent on the launch of that paper in October 1986. His puzzles in The Daily Telegraph and The Times were unsigned, but he was known as Dinmutz in the Financial Times, Aquila in The Independent and Hendra in The Guardian. The pseudonym of Roger Squires for crosswords in the Financial Times. A pseudonym used by the late Mike Laws for crosswords in the Financial Times. Leonard Dawe was senior science master at St Paul's and later headmaster of the Strand School. He compiled The Daily Telegraph's first crossword, which appeared on Thursday, July 30, 1925, and continued compiling for the paper until 1962. Dawe was the setter of the famous "D-Day crosswords". The words Utah, Omaha, Overlord, Mulberry and Neptune - top-secret codewords for the Normandy landings that would take place on June 6th - all appeared as solutions in crosswords set by Dawe and published in the Daily Telegraph between May 3rd and June 1st 1944. Dawes was grilled by MI5 officers but managed to convince them that it was just a coincidence. Leonard Dawe is one of the setters featured in Val Gilbert's book A Display of Lights (9): The Lives and Puzzles of the Telegraph's Six Greatest Cryptic Crossword Setters. John Dawson, born in Newcastle-upon-Tyne in 1946, is a regular setter of crosswords for The Guardian (as Chifonie), the Financial Times (as Armonie) and elsewhere as Symphonia. These pseudonyms indicate his love of early music, as they are all medieval names for the hurdy-gurdy. John lives in Kendal and, apart from crosswords and music, his main interest is walking in the Lake District. As Setsquare, Raymond Dawson set barred crosswords in the New Statesman between 1952 and 2002. He died in 2002 at the age of 79. Roy Dean, a former Foreign Office diplomat, was both a champion crossword solver and a crossword setter. He was the winner of the very first Times Crossword Championship, held in 1970. Also in 1970, under test conditions, he solved a Times crossword in just 3 minutes and 45 seconds, a remarkable feat. He won the Championship again in 1979. In 2003 he joined The Times crossword setting team. His last puzzle appeared in The Times on 18 February 2010, his eighty-third birthday. Colin Dexter is well known as a crime writer, the creator of Inspector Morse, the Oxford-based, beer-drinking, Wagner-loving detective who is also an aficionado of The Times crossword. 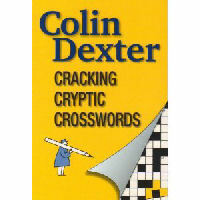 But Colin Dexter is also a champion crossword solver and occasional crossword setter, and he is the author of Cracking Cryptic Crosswords, a short guide to cryptic crosswords for beginners. The pseudonym of Tom Johnson for crosswords in Prospect magazine. The pseudonym of John Grimshaw for crosswords in The Listener series, the Sunday Telegraph's Enigmatic Variations series and The Magpie. The pseudonym of the late Bert Danher for crosswords in the Financial Times. (The pseudonym was the result of forming a word from seven Scrabble tiles chosen at random). Anne Campbell Dixon was born on January 1 1946 and died, aged 59, on June 12 2005. She was a journalist with The Daily and Sunday Telegraph and had a passionate interest in historic houses and the booming heritage industry. Later, from 1999, Anne Campbell Dixon compiled cryptic crosswords for The Daily Telegraph and Elimination Puzzles for The Sunday Telegraph, the last of them appearing two weeks after her death. The pseudonym of Tom Johnson for crosswords in The Spectator. The pseudonym of John Young for crosswords in the Financial Times. Donk is the pseudonym of Dave Warder for cryptic crosswords in The Independent. His debut puzzle appeared in October 2012. Thomas Edward Neil Driberg, Baron Bradwell (22 May 1905 - 12 August 1976) was a journalist and politician, an influential member of the Labour Party from the 1940s to the 1970s, and an agent for the KGB. He set prize crosswords for Private Eye in the early 1970s, using the pseudonym Tiresias. 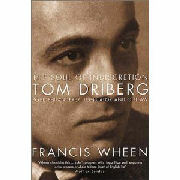 Driberg's crosswords were notable for profanity and sexual innuendo - a tradition carried on in the current series of Private Eye prize crosswords by Eddie James. The pseudonym (an anagram of 'pseudonym') used by Chris Brougham for crosswords in The Spectator. Pseudonym used by Andy Stewart for advanced cryptics (The Listener, Enigmatic Variations, Inquisitor, The Magpie).